Today the U.S. Army turns 242. What began as 10 groups of riflemen in 1775 has grown into the largest US military branch, with 1.4 million active duty members and an additional 540,000 members in the Reserves and National Guard. Many TDS employees have served in the Army, beginning with TDS’ founder, LeRoy T. Carlson. Roy was involved with World War II in more ways than one. First he met with First Lady Eleanor Roosevelt to discuss how to organize U.S. resources before the war. He later served in the Army from 1941 to 1943 and then served in the Navy from 1945 to 1946. We salute all of the men and women who have bravely protected our country through this institution and share some of our employees’ experiences. 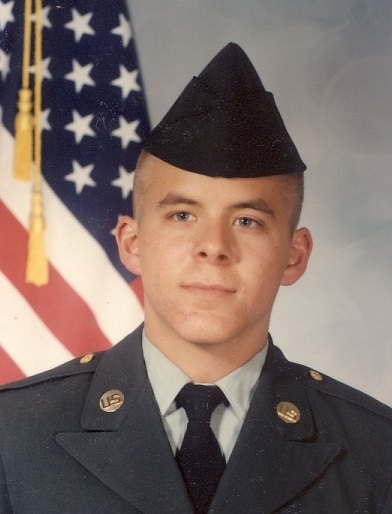 Mark served in the Army for four years during the Cold War from 1985 to 1989. Mark was part of the 101st Airborne Division. He later realized once he was home that it was the same unit his uncle served in during WWII. During his time in the service, Mark was stationed in Germany on the East/West border, where he was as close as you could get to the Soviet and East German soldiers during the war. He recently traveled back to Germany where he had the surreal experience of seeing his “Observational Post Alpha” turned into a museum. The Army impacted Mark in many ways, from the habit of speaking “loud to be heard” to instilling the values of the Army that include Loyalty, Duty, Respect, Selfless Service, Honor, Integrity, and Personal Courage. “You can take a man out of the Army, but you cannot take the Army out of the man,” Mark explained. 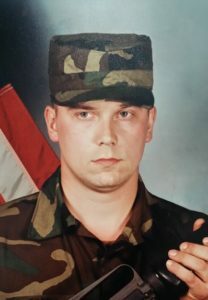 Randy served in the Army for 15 years from 1988 to 2006 because of his love of country and because it provided him with the Army College Fund. Desert Storm was one of Randy’s most memorable experiences while serving. He served as an infantryman with the 1st Infantry Division where they traveled through three countries. 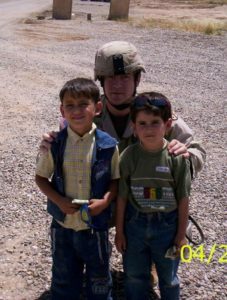 One of the many memories that Randy has during his service is a comical one from his time traveling from country to country. “Visualize a military vehicle racing across the desert at 30 mph with a picnic table strapped on its roof. It looked like the Beverly Hillbillies,” recalled Randy. Looking back, Randy believes that his time in the service has made him a very strong-willed person. Mike joined the Army looking for focus and discipline, serving four years from 1991 to 1995 as a specialist. He was interested in jumping out of airplanes, and after he talked to his Army recruiter, he enlisted and did just that. During his time in the service, he assisted with relief for Hurricane Andrew, the Operation Restore Democracy in Haiti, and much more. Even after an accident that required an eight month recovery, Mike got back into a plane and decided to parachute again. Being in the Military taught Mike that the world doesn’t revolve around you and that one needs to value others, which has made him the person he is today. Randy served six years of active duty from 2008 to 2014 as a sergeant, or E5, and endured two deployments to Afghanistan. Randy chose to serve once he was old enough, seeing it as an opportunity to make a difference and help others. One of his most memorable moments happened in Airborne School when he first jumped out of a C130 at 1,500 feet. He first felt an intense fear, but after jumping he experienced a great rush from seeing the Earth from so high up. Joining the Army gave Randy a newfound sense of purpose and perspective that he carries with him through everything he does in life. He has learned to adapt to adversity, including spending almost two years away from his friends and family, and has a strong feeling of appreciation for everything we have in this country. Jarret has a strong military tradition in his family. As a child, he would go through his late father’s old military pictures, uniforms, and medals. Pinning his father’s medals on his shirt made him remember his father and all of his accomplishments, filling him with pride. There was no question when the time came to enlist – he would serve. 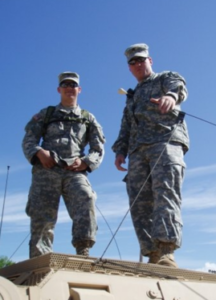 Jarret served in the Army National Guard from 1994 to 2000 as a 51T, or a “technical engineering specialist.” He acted as a surveyor for the army, surveying land and developing project land for building projects. He left as an E-4 specialist. In August of 2000, Jarret was working in California on border control roads. The temperatures would reach extremes, and children would often watch them work. A water truck would drive down the roads to keep the dust down as they worked, and it became a daily ritual and a fond memory of Jarret’s that the truck would spray the kids with water each day. John was drafted in 1966. He was initially instructed to go to Vietnam, but missed his plane and was instead sent to Germany for two years. When he left Germany, he was a sergeant E5. In the four years following, he served with the Army Reserves and was promoted to sergeant first class E7. While in Germany, John served on a special weapons group. He tracked nuclear weapons across Germany and was required to keep constant contact with the convoy. If contact was lost, it was up to the special weapons group to track the last place they reported from. The Army taught John many things, including work hard and always do what is best for your country. He was not in a good place prior to being drafted and said he would do it all again if given the chance. John would like to thank any person who has served or is currently serving. Ted joined the Army National Guard in 2006 and continues to serve as a staff sergeant and Chemical Biological Radiological and Nuclear (CBRN) staff Noncommissioned Officer (NCO). He was deployed to Iraq in 2009 with 3,200 Wisconsin soldiers. Ted joined the Army to be a part of his family’s military tradition. His most memorable experience was jumping out of a military aircraft at low altitude. While managing the state’s employment assistance program, a TDS employee reached out to Ted about starting a veteran hiring initiative at TDS. Ted now works full-time at TDS. 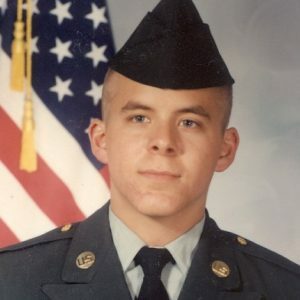 Jon first joined the Wisconsin Army National Guard in 1984 as an E1 private to find some direction in his life. After making it to private first class, he went through the Wisconsin Military Academy and earned his gold bar. He was a platoon leader for a Heavy Maintenance Platoon and was later promoted to first lieutenant. 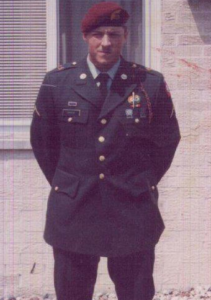 In 1990, Jon joined the active reserves as an Army Training and Evaluation Program (ARTEP) evaluator officer. During these training missions, it was Jon’s job to make sure the battalion or company completed their mission—even if something unexpected, such as a combat loss, was to happen. When Jon was stationed in Germany, he loved being able to travel around Europe, although, it made him grateful to live in and serve the USA. The Army gave Jon the direction he was looking for. 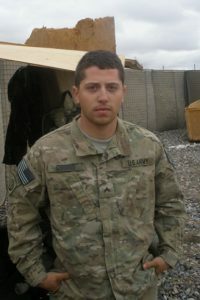 He learned discipline that allowed him to attend college after his service and pursue a career in cellular engineering. 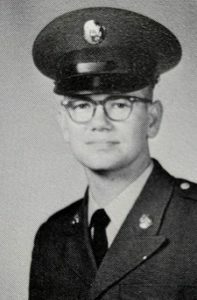 Gary served from 1980 to 1993, with four years of active duty and nine years with the Wisconsin Army National Guard as a sergeant. He was first stationed in Germany, which was one of his most memorable times while in service. While serving, his first duty station was with the 517th Maintenance Company at the Gerzeski Barracks. The Gerzewski Barracks had been around for many years, first being used during World War II and stayed with the U.S. Army until just after the Cold War. Gary always wanted to be a soldier, which led him to enlist and stay in the service for 13 years. Thank you to everyone who has served our country, and happy birthday to the U.S. Army. TDS TV customers: ABC Video On Demand is now available!